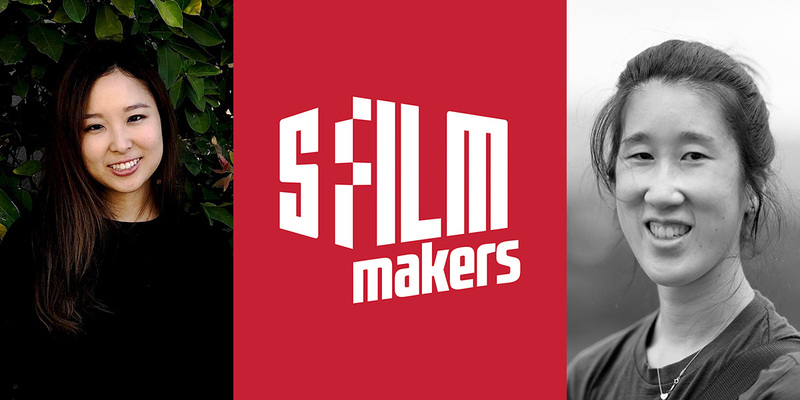 Two filmmakers -So Young Shelly Yo and Erica Liu have been selected by SFFILM to receive 2018 Sloan Science in Cinema Filmmaker Fellowships, which will support the development of their narrative feature screenplays. Funded by the Alfred P. Sloan Foundation, Sloan Science in Cinema Filmmaker Fellowships are part of the organization’s efforts to support programs that cultivate and champion films exploring scientific or technological themes and characters. SFFILM fellowships, awarded under the auspices of the organization’s artist development program, SFFILM Makers, are presented to film artists developing screenplays that tell stories related to science or technology. SFFILM Sloan Science in Cinema Filmmaker Fellowships include a $35,000 cash grant and a two-month residency at FilmHouse, SFFILM’s suite of production offices for local and visiting independent filmmakers. Fellows will gain free office space alongside access to weekly consulting services and professional development opportunities. SFFILM will connect each fellow to a science advisor with expertise in the scientific or technological subjects at the center of their screenplays, as well as leaders in the Bay Area’s science and technology communities. In addition to the residency and grant, SFFILM’s artist development team will facilitate industry introductions to producers and casting, financing, and creative advisors—investing in fellows from early script development stages through to release with the goal to further professional development and career sustainability. A fiery female biotechnologist, hoping to break ground outside the realms of her lab, competes to be Korea’s first astronaut on the nationwide televised Korean Astronaut Program. In her obsessive quest to become Korea’s first astronaut, So Yeon steps into a world of unmeasurable physical and mental stress and discovers shocking revelations about her country. Based on the true story of Yi So Yeon, South Korea’s first astronaut. So Young Shelly Yo is a Korean-American filmmaker currently based in Los Angeles. She is a recent graduate of the MFA film program at Columba University, where her thesis film Moonwalk with Me was awarded faculty honors. Her short films have screened and received accolades at film festivals around the world including the Mecal Barcelona International Short Film Festival, Sarasota Film Festival, and New Filmmakers LA, among others. Prior to schooling, Shelly worked as a video editor for a tech company known as ZEFR and as an assistant in the freelance commercial film industry. Following her husband’s death, a young mycologist attempts to sublimate her grief by embarking on an offbeat project to heal a contaminated old-growth forest using only super fungi, but Mother Nature and the mechanics of her own mourning prove far fickler than she had anticipated. Erica Liu is a Taiwanese-American writer/director based in Los Angeles. She participated in the AFI Conservatory Directing Workshop for Women in 2015. Her films have screened at Clermont-Ferrand, AFI Fest, and Palm Springs International Shortfest, among others. Springtime aired on public television nationwide via KQED and affiliate stations. The Disappointment Tour received a Will & Jada Smith Family Foundation grant. Erica earned her MFA from NYU Tisch Asia and previously spent five years working and shooting throughout Asia, collaborating with companies including BBC, Google, and China Film Group. Erica is currently incubating her first feature, The Mushroomers.